Over on my movie blog I recently watched all the Disneynature documentary films and they are pretty great. I’m not the biggest animal person but to see God’s beautiful creations was awe inspiring. What the Disney filmmakers do to make these movies is remarkable. I don’t know how they do it! Especially the African Cats and Bears where they are so close to these massive animals that are hungry. 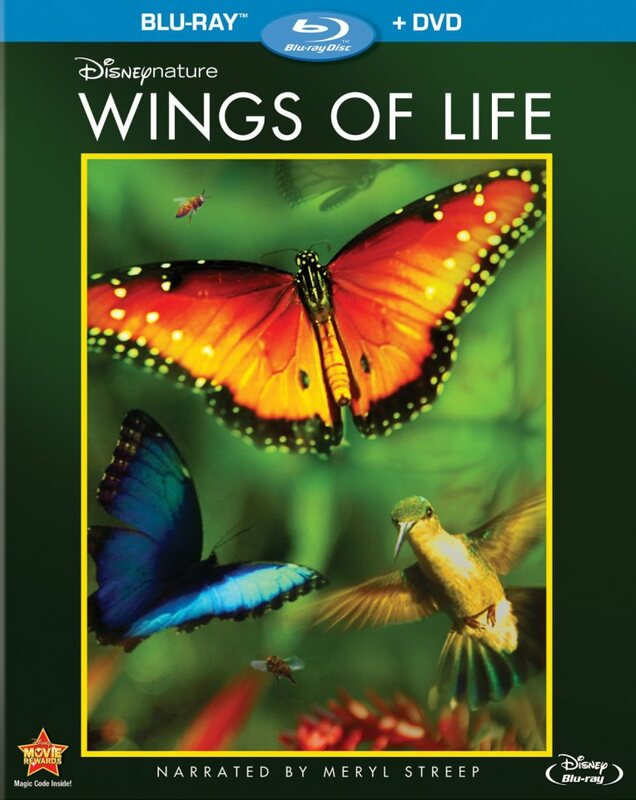 My favorite is a lesser known entry called Crimson Wing that really drew me in. I was angry at the hyenas hunting the flamingos and rooting for the little baby birds with their salt shackles. It’s very good! They are all great. Here is my ranking of all 8 films. Have you seen any of them? What are your favorites? Hi guys! So I have finished reviewing the Disneynature films! It has been such an amazing experience to see God’s creation in all their variety and order. I’ve learned a lot, been entertained and inspired. But I know you are dying to know now that I have seen all 8 how do they rank? First of all, they all have incredible cinematography and what these people do to get these images is unbelievable. They risk their lives to keep all of us and especially children aware of these animals. That is worthy of the strongest praise. All of them are worthy of integration into the classroom and could be valuable parts of any home library. But here is my ranking of the films. How are you guys doing? I’m doing great! I just had Sunday dinner with my extended family. A bunch of my cousins and aunts and uncles are in town for the holiday so it was great to catch up .I should have taken some photos but it was great to see 22 of my family members. My sister who lives in DC was there with my nieces, my parents, sister Madeline, Grandma, cousins, aunts and uncles. My aunt and uncle who are in the foreign service in Shanghai were there so that was a real treat. It was just a great time. It made me realize how much I have to be grateful for. I have so much love in my life, so many people who care about me and want me to be happy. I am so richly blessed. I also have amazing friends most of whom I don’t get to see near enough. But I know you are praying for me and I you. (And I miss you all so much. You have no idea). I have wonderful social media friends and associates who bring perspective and laughter into my life. I know it is easy to get cynical about online but I have met so many wonderful people through facebook groups, twitter and this blog. My life is so much richer and better because of each of you. All week I kept trying to express my complex reactions to the Supreme Court ruling. It is not a simple thing for me as I know it isn’t for many of you. I tried and tried. Then with my family tonight I realized what was important. What is important is to let you all know that I love you. My life is great and I look forward to a new era of friendshipping, faith and working with people on common goals. Do not feed the negativity. There are extremes on both sides of any debate. Just be grateful for all the blessings in your life and do the best you can to be kind to others. Love people for all their goodness. That is what Jesus would want us to do. I was thinking of this. It’s so easy to do the cynical thing and not reach deeper and really try and understand people. I hope I can do better and be kind to others. Anyway, God bless and thank you again for being a part of my life. So I have been working in my new marketing career for a year but in some ways it feels like it has really only been since about February. A lot of the first 8 months was spent doing research but not really marketing. Then in the winter I started posting on social media for the brands and it has been an interesting, rewarding experience. One of the things that I’ve had to learn is the difference between my hobby activities and professional. As a hobbyist my inclination is to always produce more content even if it isn’t perfect but still make it solid, readable. I’m very proud of my blog but if I waited till everything was perfectly edited then I would never post anything. You can’t build a community like that. As a hobbyist you also have limited windows to jump on opportunities and so you go for it. Like if someone wants to do a collaboration with me they don’t have months of planning to get it out. No most of the time it is a couple of weeks and we get the videos out. If I waited to research and plan everything then it wouldn’t happen and they’d move on to someone else. Right now on my facebook page I am posting a giveaway for a Target Beauty box and I have 319 entries which given my small fry status I think is pretty good. (Still 3 more days to enter http://gvwy.io/kk65w9 and if you haven’t followed me on facebook please do). 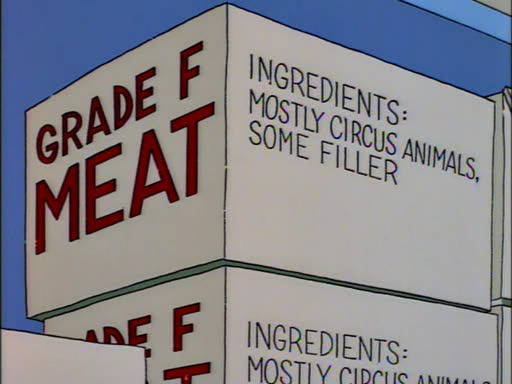 In my career I initially took this same approach into marketing. Diving into a giveaway without a ton of planning but figuring we ‘just needed to get things going’. It did work pretty well and we got a fair amount of tweets and followers for the products, which I am proud of. However, we also had all these contacts that we didn’t know what to do with. As a hobbyist I would email them and send them to my blog but it isn’t that simple with a business. All that kind of content has to be screened, approved, and made consistent with a thousand other factors. It can be a little frustrating when I have an idea I know would work and want to pump it out but I have to keep pursuing it little bit by little bit. My inclination is to just give it a shot like I would in my content but that would be a mess for a large company. Still you see the tug of war I play? So what I’ve had to do is continually remind myself to ‘slow down and make perfect’. At first I thought if I put in 40 hours (maybe more) even though I’m being paid for 30 it would look great for me, but I actually found it didn’t. On certain projects it does but I found it creates too much on my side and it is better if I take my time and make it the best. More content is not the solution. Even in project like gathering and researching Mommy bloggers, getting a list of a thousand content creators isn’t very helpful. What they need is 20 or so carefully researched. It’s just a slower pace than I would do on my own. Not sure if that makes sense but the interesting thing as I have forced myself to slow down I have learned a lot. It reminds me of when I was a little girl my Mom making me slow down and measure a goose poster I had to draw. I hated her for it at the time but it was a good drawing in the end and I learned way more than if I were to rush. With the content being pretty strong it makes my coworkers happier because I am in a sense wading through the less good stuff first and only showing them the cream of the crop (not that it can’t always be better). Anyway, it’s just a change in how things are done from a hobbyist to a professional. One of many such changes I am sure I will be absorbing in the next few years of this new career. The cool thing is I think it has made my content better right along with the work content and so in reality it is a win-win. I think these videos turned out very nicely. (Although still far from perfect!). Also check out the movie blog because I feel like several of my posts have been very strong especially a recent spoiler filled review I did of Inside Out. Thank you for all your support all these years with my less than perfect content and helping me to grow and improve. Thank you so much!!! I just watched Inside Out again tonight. That’s the first time I’ve seen the same movie twice in one week since Perks of Being a Wallflower in 2012. That movie I saw 3 times in a week because I kept bringing friends I loved it so much. In Inside Out there are memories that are a certain color depending on the type of memory it is. There are thousands of memories but the most important are called core memories. These key memories are the foundations of the ‘islands of personality’ because each memory started Riley on a path to that personality trait. It’s seriously so brilliant! It got me thinking about my own life. What are my islands of personality? And also what are my core memories holding up those islands? You guys have been reading this blog for a while what would you say? I would be genuinely curious to hear what those are in your mind. It’s easier to think of eras of my life vs one single memory that changed everything but I am sure those moments exist….Hmm. 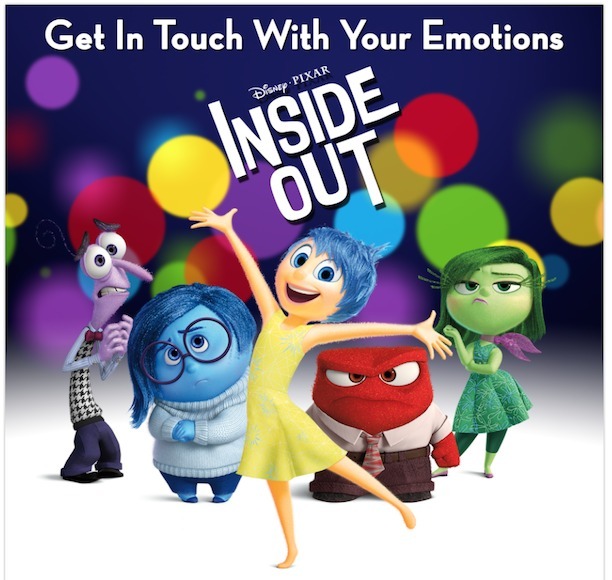 You know I was just thinking and in some ways Inside Out is the opposite of Up. Up is about a man coming to grip with his memories and moving in some way with his life. 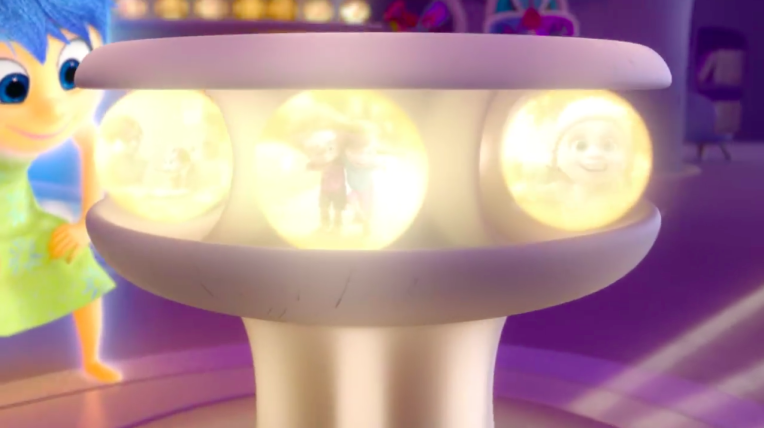 Inside Out is about creating those memories and what makes Riley into a full person ready for adventures. I guess some of my core memories would be getting bullied at school, moving to Maryland, getting accepted into BYU, meeting my friend Emily, the death of my Grandpa and Lisa, my conversion experience when I was 14, my last day on my mission, quitting my job, my first open water race in 2011, last day of my first trip to Hawaii, my first panic attack, and another very tough moment I can’t really talk about. Those are the big ones. As for my islands of personality, those have definitely changed over the years. There was a time when friendship would have been the most important and now it is less so simply because I have so few that are nearby and able to see regularly 😦 There has also been times when music was a bigger part of my life than it currently is. So at this point my islands of personality would be swimming, Mormon faith, youtube/blogging, family, loyalty. All of that is vitally important to who I am. I’d have more but there are only 5 in the movie so we’ll leave it at that. What about you? What would your core memories be? What would your islands of personality be? Please share and go see Inside Out! Just wanted to share my Inside Out review with all of you. It is a really special movie. One that comes along every decade. Go see it with your whole family. You will love it! Feeling a little emotional guys? I am because I’m so happy at the amazing movie I just saw! I LOVED Pixar’s latest movie- Inside Out. I know it sounds like hyperbole but it may be my favorite Pixar movie. Yes, it may even be better than my beloved Up. I really believe that is true. Inside Out is great in every way. I loved the characters, world, humor, story, everything. There is nothing I would change. If you are expecting criticism in this review you will be sorely disappointed. I am going to do my best to keep this review spoiler free. My thought is to then go back in a couple of weeks, once most you have seen it, and post a spoiler review about the small details and goings-on of the plot. 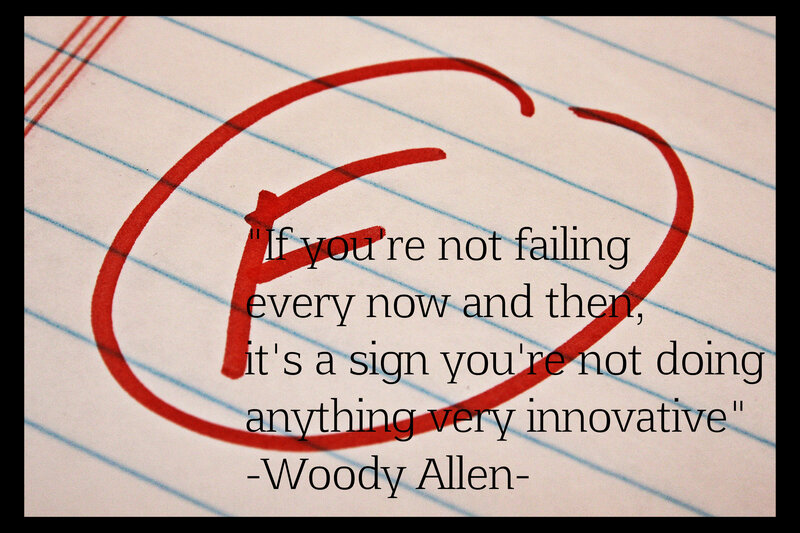 “If you’re not failing every now and then, it’s a sign you’re not doing anything very innovative” Woody Allen. I don’t say this often but I completely agree with Woody Allen on this one! The last few weeks I’ve been thinking about grades and how we assess things and people in our culture. On my movie blog http://54disneyreviews.wordpress.com I give a grade at the end of the review. This can be anywhere from an A+ to an F. Up until this point I have only given 7 Fs out of close to 250 reviews I’ve done. Since I’m sure you are curious the 7 Fs are- Chicken Little, Brother Bear, Dinosaur, Road to El Dorado, Maleficent, Ghost of Girlfriends Past, and The Lorax. These are movies which I think are complete failures. Ds on the other hand I didn’t like but I found some things to enjoy so it isn’t a total failure. Most people are with me for this part of the grading system. It’s when we get into Cs that it is interesting. I have noticed many people treat a C grade like it is an F. To me a C is in the middle. It’s half way between an A and an F. It’s an average, ok movie. If I hated it I would give it an F.
If people actually read my reviews instead of just looking at the grade they would see on my C grades I say lots of nice things about said movie. Such a movie is not a failure but there are some problems that keep it from the masterpiece or good levels of A and B. That’s ok. Not every movie can be a masterpiece and I get a lot of enjoyment out of the C movies. Anyway people kept treating Cs like Fs so frequently that it made me wonder if Fs weren’t a part of the cultural lexicon as much as when I was at school. I asked a friend and she said it is nearly impossible to get an F in school. If you do anything you will most likely get a C. So no wonder a C is seen as a failing grade if it takes the bare minimum of effort! I have a problem with this. First of all, it leaves teachers with only 3 options for a student. 5 is hard enough but if every student is either Great, Good or Failure that isn’t good. C should be a place for a person who is in the middle of the pack. I guess those people are Bs now but what about those that are almost top of the class? That should be a B and a C should be for those that are right in between. That’s an important dilatation. Not everyone is going to be great or terrible at things. Some things we will be average at, even for the best students, and that’s ok. School was tough for me, especially college and I was more than happy to be a C earner on multiple occasions and if I had felt like that C was a failure forget it! We need that average score! We also need the Fs for several reasons. First if there is no fear of actual failure with real consequences what motivation is there to try your hardest? 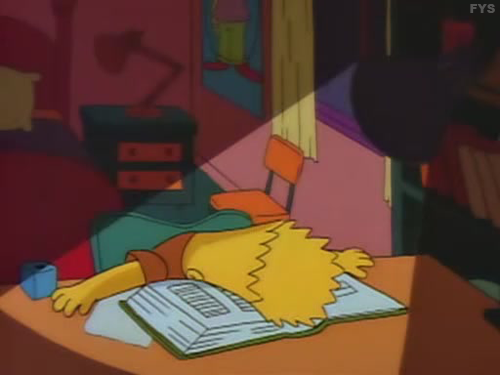 In one of my favorite Simpsons episodes ‘Bart Gets an F’ Bart finds out if he doesn’t shape up academically he will need to repeat the 4th grade. This fear of the consequences of failure whips him into gear and he tries as hard as he can. And he gets a D which is a huge victory for him. If he had just been given a C because we don’t want to hurt his feelings than he wouldn’t have tried so hard and learned something. When I was going to school there were many times I would leave the testing center in tears, having tried my hardest but still failed. But that was a good thing. I was forced to push beyond what I thought my limits are and actually learn the tough stuff or at least be average competency at it. If I knew I would get a C for just showing up and doing the bare minimum forget it. And what are we trying to do with education anyway? What separates education from day care is the kids are supposed to be learning something in school. And with the exception of special education situations if they don’t learn the assigned topic than the education has been a failure. They deserve an F. It should not be this devastating humiliating thing. It should be a normal part of life that every once in a while, and sometimes a lot, we fail at things. What do we do with that failure and how do we make it into a success? Now that is where the true education comes into play! The other thing is if a C has become the new F than you lose the ability to really differentiate problems in a sea of averageness. For example, I was bullied pretty badly from 4th and into 5th grade with it getting especially bad the latter Fall. I downplayed this at home telling my Mom about the incidents in a laughing silly kind of way. Like it was no big deal. Then I got a D in Math that Christmas. My parents knew there was a problem. It was a touchpoint that made them aware of other issues much more important than the math. As a result I was pulled from the school and went to private school for the rest of the year that changed my life. I don’t think that would have happened without the D. The teacher could have thought it was harsh to give me a D because I did try but it was the grade I deserved and I’m glad she gave it to me. Very glad. Ds and Fs should be signs to parents, administrators, even children that there is something wrong and we need to look for solutions. To just whitewash everything with a vanilla C takes away that opportunity for introspection and growth. You can say grades are stupid and we shouldn’t give them out anyway, and to a certain extent I agree with you. If a child is progressing that is the most important thing; however, I don’t think credit should be given for learning something if it wasn’t actually done. If we got rid of grades completely than again we lose that touchpoint to easily compare things. Not everything in life can have a long discourse or excuse. Sometimes you just need to be able to look at a few key figures and say ‘ok Sally is doing better at English than Math. Let’s focus on that”. I’ve thought about not giving grades on my movie reviews because I think people sometimes don’t read the review but just go right to the grade. This is frustrating because I may explain something that you may say ‘she didn’t like that but it would be great for me’. Like I don’t like scary movies so I may say as a negative a movie is too scary for me but if you like scary movies than it might sound great to you! My grade is just that-my grade. It’s what I thought of the movie. I don’t try to imagine what others might think. It is just my opinion. I also don’t use a rubric like some critics do because sometimes my feelings both good and bad can’t be quantified. It is just an overall experience with a film that deserves a certain grade. I feel sometimes my friends with rubrics are held back by them from giving a movie a grade they know it really deserves. I didn’t give grades for my Scrooge month series and I think people were a little more inclined to actually read the reviews, so I’m still considering it. What do you think? If you read reviews what do you like as far as ranking systems and scores? Regardless, the changing in the American mind of a C from average to failure is not a good thing. People should be allowed to fail and it not be as big of a deal. It’s part of the learning experience. And if they fail I’m not going to sugarcoat it with a C. That’s doing a disservice to all the people/movies/whatever who worked so hard for that C.
Plus, how do you delineate what is truly special if there isn’t an equally strong opposite? Has an A also lost all of its meaning and value? What do you think? Do you see this as a problem? Are we too afraid to let kids fail? What about how we grade or rank other things like movies or books? Did you ever get a D or F that whipped you into gear or helped you? What do you think the solution is? 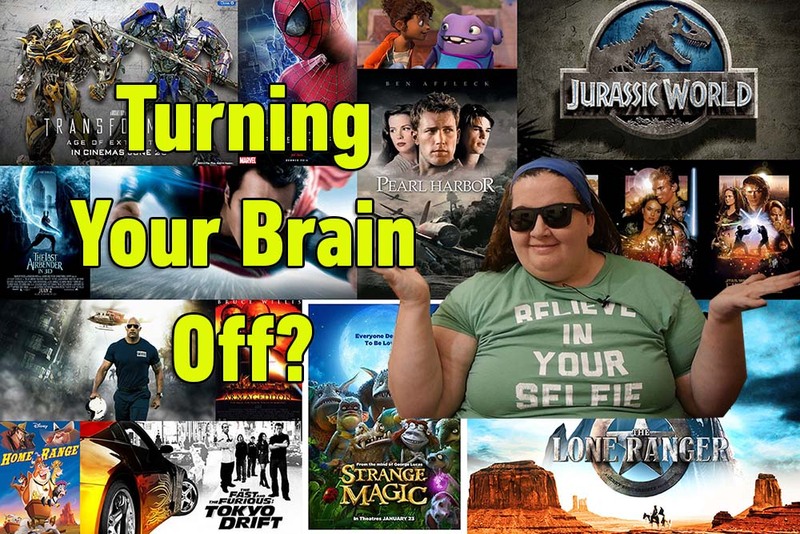 Can you turn your brain off for a movie? An essay I wrote on the movie blog you guys should check out. Today I found myself thinking about big budget studio movies (intended blockbusters). Typically if I am anywhere on the ‘it’s ok’ to ‘I hated it’ track I will hear “why can’t you just turn your brain off and like the movie?”. The answer is that I can turn my brain off- kind of. I can be entertained by a stupid movie. For example, Furious 7 I gave a B and that is a definite turn your brain off movie. Fast and Furious Tokyo Drift on the other hand would get a D and I was not able to turn my brain off for that one. What’s the difference?